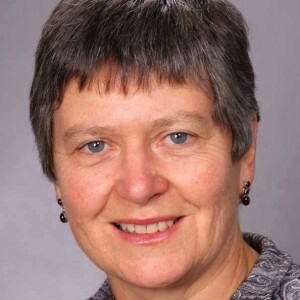 Jean Fleming is a Professor of Science Communication in the University of Otago’s Centre for Science Communication, where she convenes the Popularising Science MSciComm. She is also a reproductive biologist in the Department of Anatomy, with research interests in the molecular and cellular origins of ovarian cancer. information is easy, but there are no easy answers for attitudes and wisdom. Emotional connections through stories. Despite all evidence, great denial about Climate Change, (mostly engineered by vested interests). (Am I an activist ?). Not quite yet, I’ve got to retire first next year. (Alan Mark said he was an activist, a requirement of an academic), actually yes, I’ve been an activist all my life. When I went to the royal commission on GM I had to suddenly wear a bra, and be like a judge, and so that really put the kibosh on me being a real activist for quite a while – I’m just beginning to come out the other end now. I was a great feminist in the 70s and 80s. And that got knocked out of me but the dark is rising. Shane’s number of the week: 10. Ten years of Pacific cooling. In the last 10 years there has been a slowing in the increase in temperature across the globe from that predicted by the increasing greenhouse gases in the atmosphere. So since about 1970 the increase in global temperature has tracked the increase in CO2 levels very closely until about 10 years ago when the correlation started to diverge. Climate change deniers have made much of this and it has been a bit of a mystery – until now. There is a cooling effect on the atmosphere – one of the many long term climate altering cycles… so Waters in the eastern tropical regions of the Pacific have been notably cooler in recent years, owing to the effects of one of the world’s biggest ocean circulatory systems, the Pacific decadal oscillation. Here in the pacific we are used to El Nino and El Nina affecting our weather and climate patterns but this is a longer cycle which brings cooler weather and can last decades. The last time this oscillation was in its cooling phase was back from the 1940s to the 1970s (Scripps Institution of Oceanography and supported by the US government’s National Oceans and Atmospheric Administration NOAA, and was published in the journal Nature). Spread the Help: Spread your donation across multiple charities, and Spread your Help to your community, by giving. Resource Locus: Resource Locus proposes to foster farmers’ market culture by providing an online meeting place. Flowbot: An innovative, reusable drink bottle to help fight obesity in kids through interactive design. Fixing Faults: Fixing Faults gives you the space, skills and resources to turn your boring junk into funk! HandiConnect: HandiConnect – Connect handicaps to the world and help them live a life with no difference.